Nick is a Denver Broncos fan from way back, and when Jessie made the original lighted bottle with the Broncos colors and decal he was very excited. Jessie and I joked about making a pink one for a lady fan, and here it is. 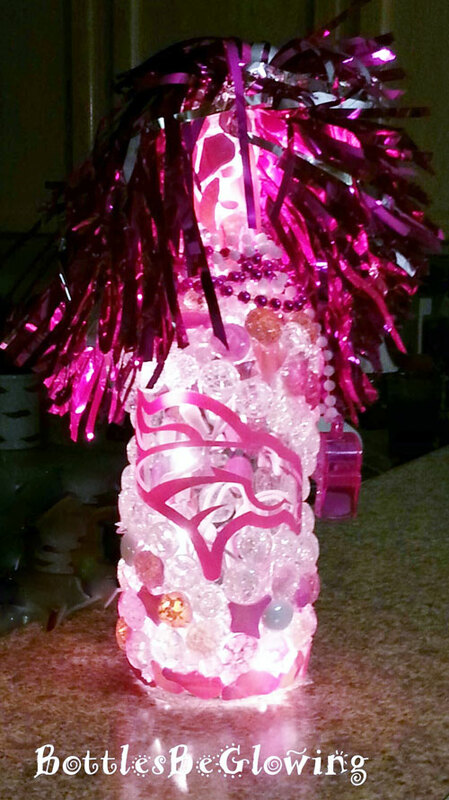 Click here to see pictures of the Denver Broncos lighted bottle Jessie mailed us a while back. 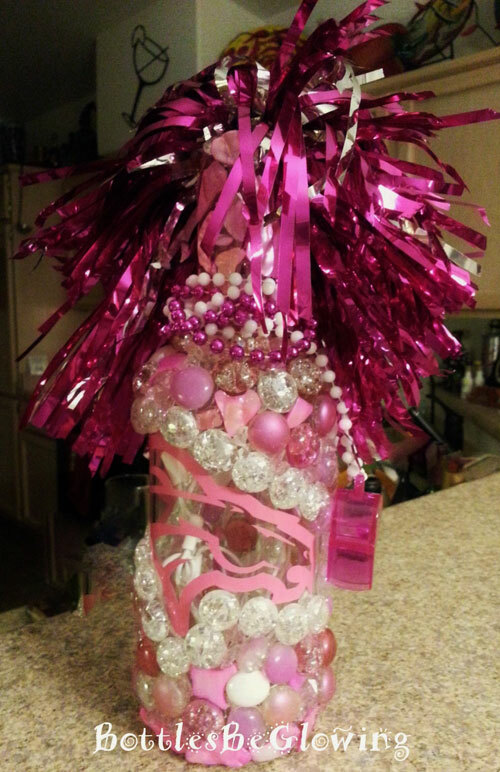 Do you love this Broncos bottle as much as we do? Please leave us a comment below and feel free to share.